The Krowne BC24-BG forced air bottle cooler holds up to fiva cases of 12-ounce bottles to keep them cold until they are served to customers. A chrome-plated divider rack is adjustable for convenience and separates drinks by type or brand. The stainless steel interior is durable and resists corrosion, while the black vinyl exterior also resists corrosion and fits into almost any theme. Cold air is retained in the unit thanks to 2-inch-thick, foamed-in-place polyurethane insulation. Temperatures range from 30 to 40 degrees Fahrenheit and are maintained with R-134A refrigerant. 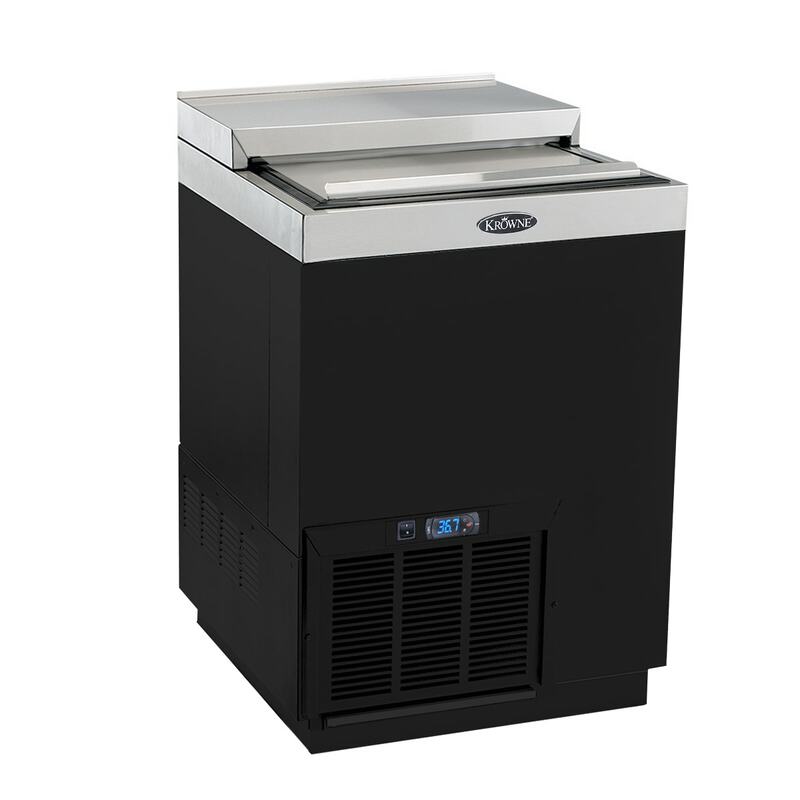 Since the refrigeration system is self-contained, it can easily be serviced. 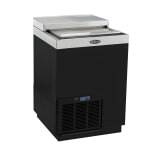 The Krowne BC24-BG forced air bottle cooler comes with a condensate evaporator pan to melt ice off the evaporator.